If you follow King Arthur Flour on Instagram, then you know about their monthly Bake Along. And if you are not following them, you really should! 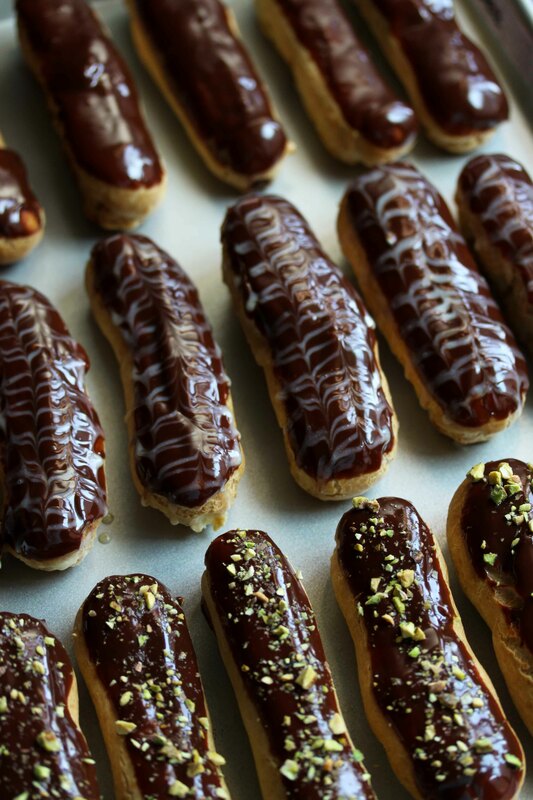 The recipe for February’s KAF Bake Along was eclairs. I have made eclairs in the past with different degrees of success. They are not difficult to make, but the recipe does require a little bit of planning ahead. I volunteered to bring dessert for a lunch with friends, and I had time to make a special treat. I wanted to make different flavors and decided on pistachio, vanilla bean, and chocolate. They were all delicious but everyone who tasted them declared pistachio as their favorite. 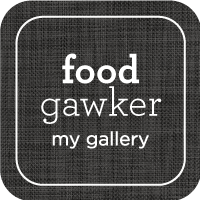 I won’t type out the recipe here, you can go directly to KAF. But I will give you some tips, especially since I did some things differently as stated in the recipe. Special equipment: parchment paper to line the baking sheets, large piping bags, a large round tip to pipe the eclairs (Ateco 807), and a special tip to fill the eclairs (Wilton 230). It’s helpful to have several of the Wilton 230, that way you can prep all your piping bags with all the fillings at once. Shells: make the recipe exactly as directed but do not slice the eclairs in half. I think they look just awful when sliced in half. Also, the vanilla and pistachio pastry creams are not stiff like the chocolate pastry cream, so they will not stay put. 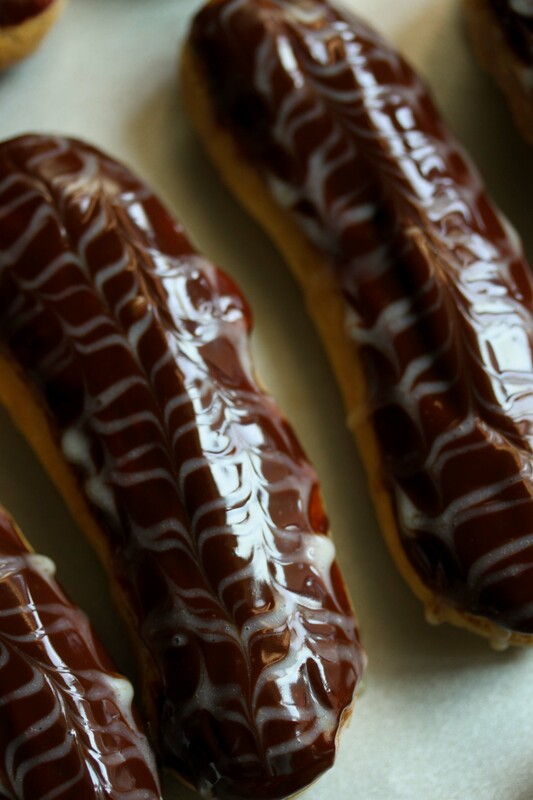 Make sure to let the eclairs cool completely on a wire rack after they are removed from the oven. Store them in an airtight container overnight. They will seem too hard once they cool, but the next day they will have the right texture. Pastry cream: use this recipe. Follow directions through step four, then strain it through a fine mesh sieve. Divide the mixture equally into three separate bowls: for the vanilla pastry cream add 1 teaspoon vanilla extract, and 1 tablespoon butter; for the pistachio pastry cream add 1/4 cup pistachio cream, 1/2 teaspoon vanilla extract, and 1/4 teaspoon almond extract; and for the chocolate pastry cream add 1/2 teaspoon vanilla extract, 1 tablespoon butter, and one ounce chopped unsweetened chocolate. Adding more chocolate will make the cream too stiff and difficult to pipe. The pastry creams need to be refrigerated until cold before folding in the whipped cream. When you are ready to pipe the filling into the eclairs, whip the 1 cup of whipping cream to medium-soft peaks. Divide the whipped cream equally among the three pastry creams. Carefully fold the whipped cream into each. Timing: I bake the shells the day before I want to fill them. I make the pastry cream the same day that I bake the shells. On the second day, you fold the whipped cream into the pastry cream, and you fill the eclairs. Filling the eclairs: Transfer the pastry creams to pastry bags fitted with the Wilton 230 tip. I like to fill the eclairs from the bottom. 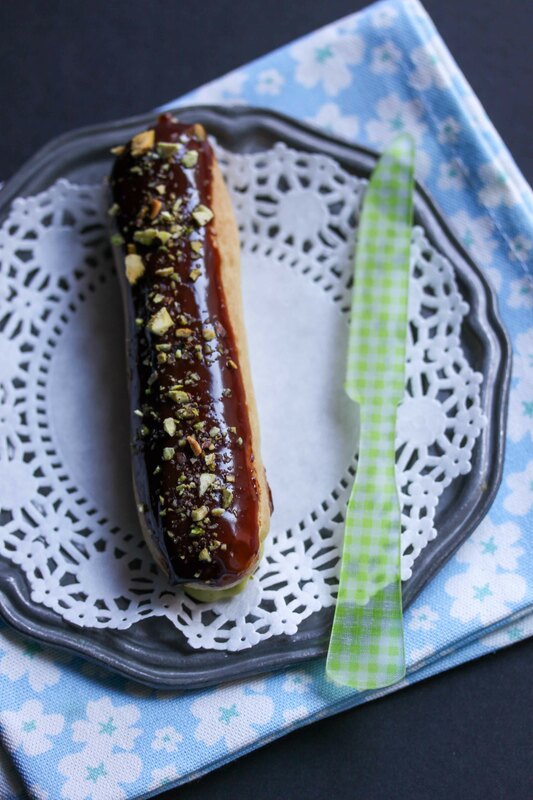 Make three little holes with skewer, and use these as guides to fill the eclair. Watch this video if you need a visual. Last notes: Glaze as directed in the main recipe. 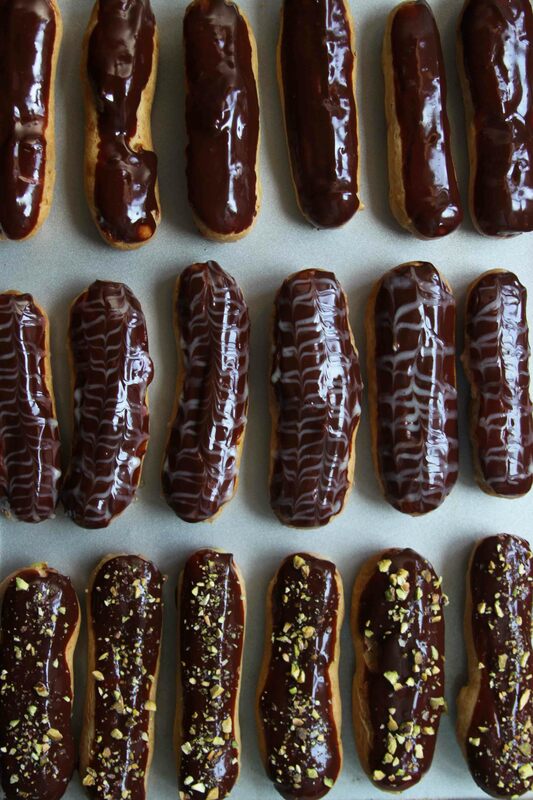 The recipe makes 20 eclairs. You will have some leftover pastry cream. 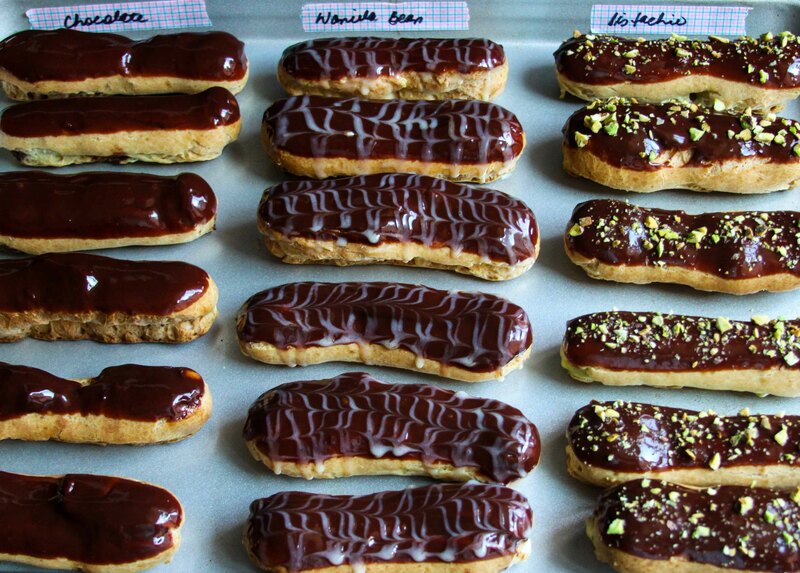 The eclairs are best the same day they are made, but will still be good if refrigerated overnight.